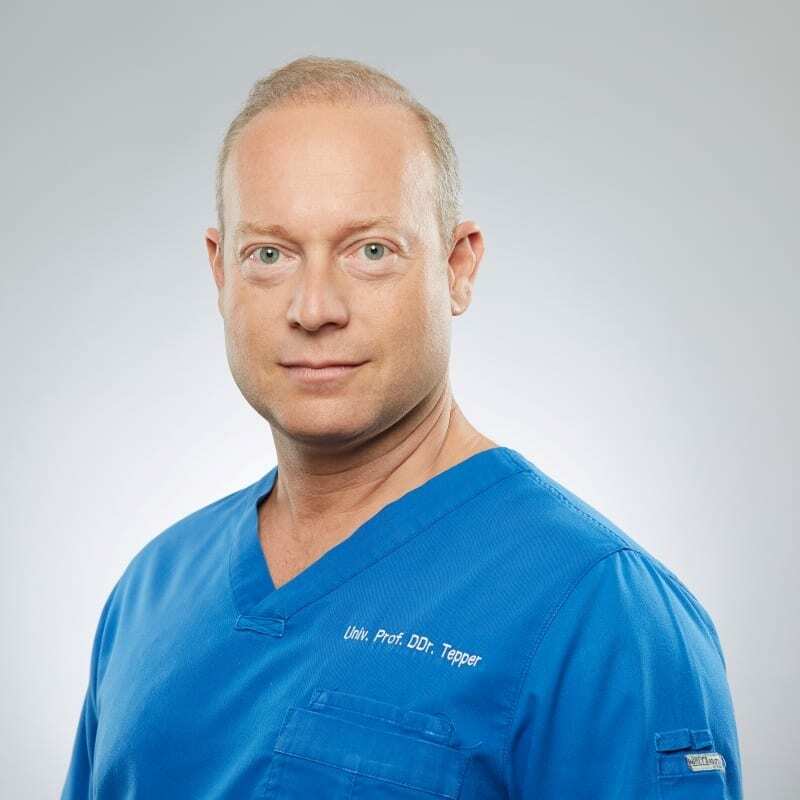 Professor Tepper is one of Austria’s leading implantology experts and a global lecturer in the field of implantology. specialises in orthodontics and aesthetic dentistry, because handsome and healthy teeth are an essential social hallmark of our time. 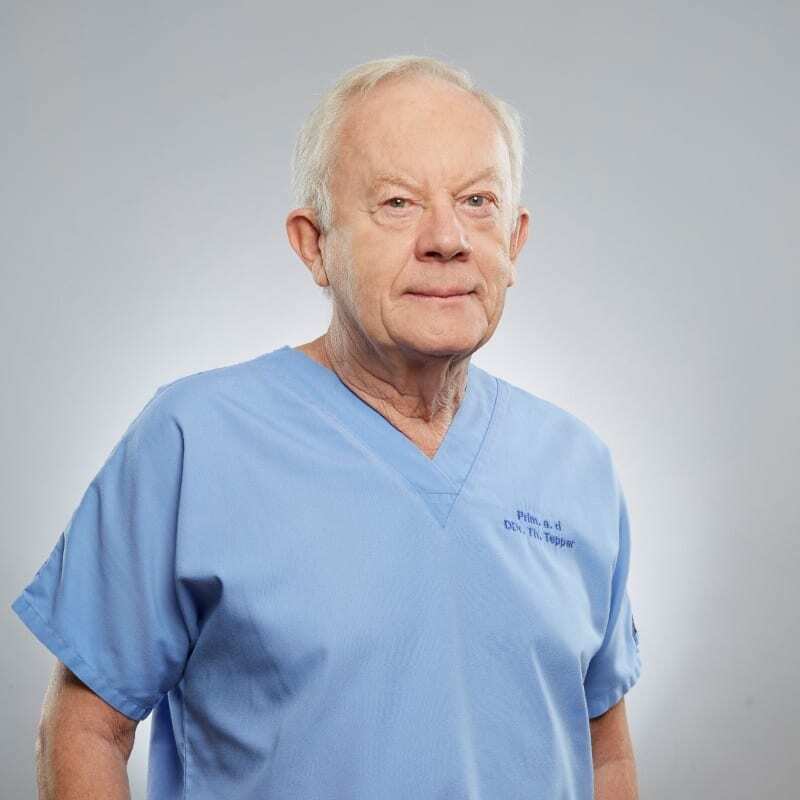 Founded the practice in 1984 and focuses on aesthetics, prosthetics and general dentistry. Our implant consultation is free of charge. 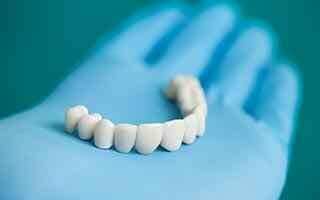 Implant treatment consultation and planning – How does it work? We commence each individual session with a personal orientation discussion. We believe in making expert advice available free of charge to our patients. We acknowledge proudly that since our practice was founded, approximately 40.000 satisfied patients have placed their trust in us, putting their dental needs in our capable hands. We offer comprehensive service that covers all areas of dentistry, including implants under general anaesthetic. First things first: our strengths lie in accurate diagnoses – using 3D volume tomographs where necessary – careful, thorough consultation and meticulous therapy planning. We are your dentistry and specialised oral implantology centre in Vienna. Our team in Vienna’s 22nd district consists of four dentists who have different areas of expertise. We’re proud to acknowledge that since our practice was founded, approximately 40000 satisfied patients have placed their dental needs in our expert hands. Oral hygiene is carried out by our prophylaxis assistants and followed by specialist medical supervision.The dentures are produced exclusively by the most renowned Viennese dental technology master laboratories. Our team consists of four dentists that have different areas of expertise. specializes in orthodontics and the aligning of teeth using both removable and non-removable orthodontic appliances, transparent aligners, as well as aesthetic dentistry and teeth whitening (bleaching). 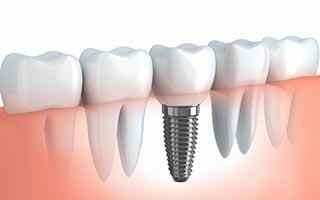 Implants replace lost teeth without doing damage to neighbouring teeth through bridge preparation. 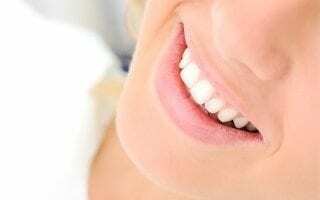 Our speciality is immediate implantology, by which a tooth is removed and then, immediately after extraction, replaced by an implant in a single session. This method is quick, gentle and in accordance with the latest current implantology developments. Prof. Tepper lectures globally in the field of immediate implantology. 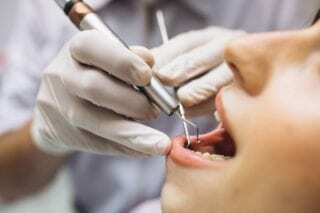 Under certain circumstances, teeth which have been knocked out can be re-implanted: especially when they have been transported in a special tooth rescue box to prevent exsiccation (drying out) of the tooth. An affidavit from the police station is essential, especially when the damage is a result of third-party involvement. Likewise, an insurance report is of utmost importance for reimbursement at a later stage (AUVA). …by a friendly and competent doctor. I have several implants, some of them are already about 10 years old. They are holding up wonderfully, and I have never had a problem – neither with their preparation nor with their implementation or long-term use. I can recommend Prof. Dr. Tepper without any doubt. I had two teeth pulled and replaced by implants. Before we started, Dr. Tepper took away all my fears about the treatment. Everything was done very quickly. Every move was precise. I had some pain on the same day, but the next day, I could already do without the painkiller. I couldn’t even feel it when the implant was being done, I only felt sore from the tooth being pulled out. 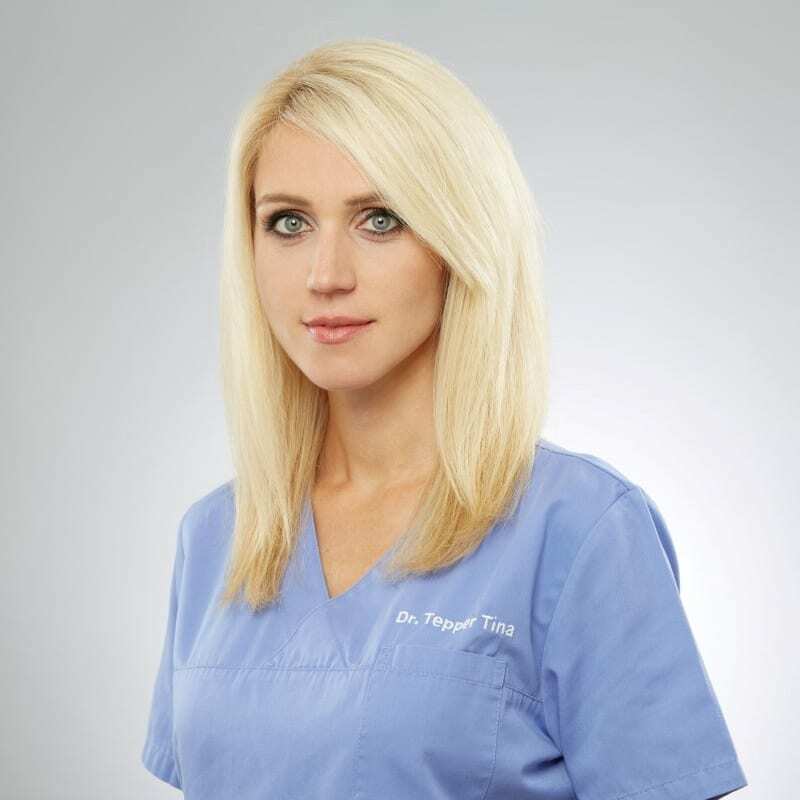 I can only compliment Dr. Tepper, who is very, very competent – you’re in the best hands when you choose him. Everyone who needs an implant will be well taken care of with him. In the previous year, I received implants and crowns for the entire upper jaw, this year for the lower jaw. Everything fits perfectly and I feel very good about it. I would also like to thank DDr. Gabor Tepper, his father (installation of the crowns) and the whole team for their excellent work! Very friendly, from the ladies at the reception to the doctor! Very clean, everything is sterilized in front of the patient unpacked. Absolutely competent and, as already said before, very friendly! PS: I’ve never felt an injection any less! I recently had Dr. Tepper put in my first-ever implant and I am thrilled. Within 15 minutes, the broken, treated tooth was pulled AND the implant was placed. 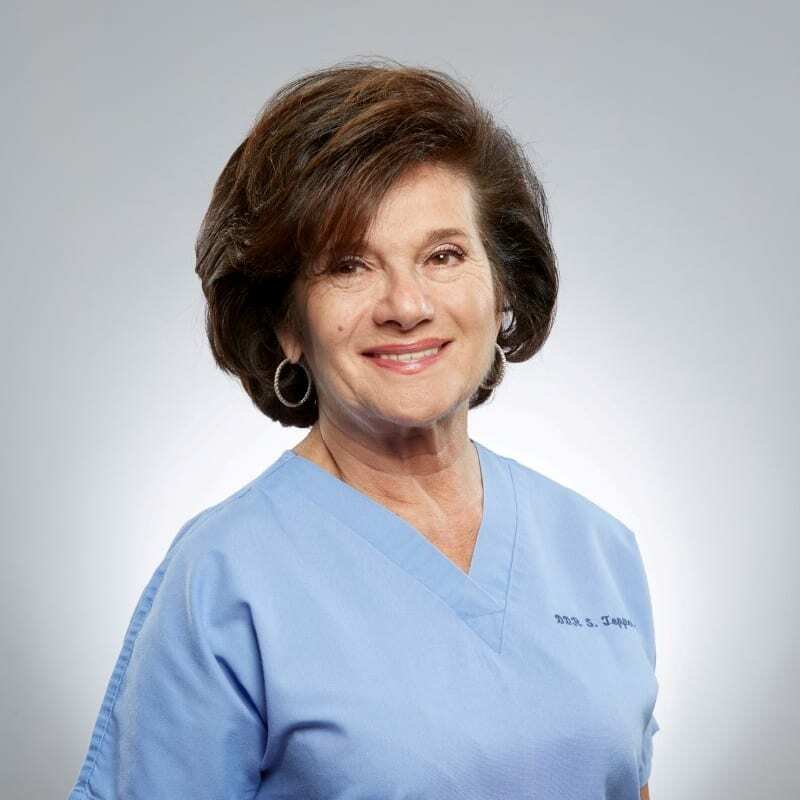 Dr. Tepper discussed the treatment with me in advance, showed me everything on the X-ray and the 3D MRI and explained every single step during the treatment, so I always knew exactly what is being done – which I found to be very pleasant. After the local anesthesia had subsided, I felt some (expected) discomfort in my jaw – but with a single Parkemed (! ), that was also taken care of. After that, I had no pain, no swelling, nothing – as if nothing had ever happened. I can highly recommend Dr. Tepper! I was very happy with the treatment. Time span from beginning to end: 4 months. I can only thank the Dr. Gabor Tepper. I met Dr. Tepper many years ago, when he came to my then-dentist’s clinic to implant for 4 teeth (lower jaw, front teeth). When he arrived there (with assistant), I immediately had the feeling of being a top professional. Although it was not his own ordination, it was “just like home”: It’s all top-notch and well-rehearsed. He pulled the four teeth (which was my nightmare for days!) so swiftly and painlessly that I was still wondering if he had even started by the time he was finished. He was so fast and precise, I had no complaints! Later, I had to pull an upper molar, and had the same experience. And then, a year ago, I had to have six teeth pulled in my left upper jaw, and got four implants (! ), this time at Dr. Tepper’s practice. Of course I was scared, but again, it was over so fast, that I had NONE of my expected suffering. Everything else was also done with precise and attentive professionalism of the highest order. Dr. Tepper is extremely recommendable, and his prices are in the usual range. I’ve had dental problems since my youth. 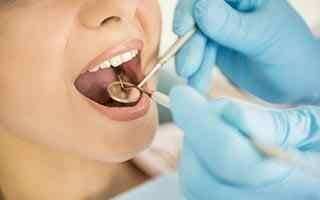 I have had dental implants done at different ages and have had all sorts of experiences. For one of the teeth in my upper jaw which could not be saved, my regular dentist recommended that I see Dr. Tepper. We weren’t sure if an implant could be placed at all because of space, bone structure, etc. The 3D X-ray created at the initial consultation already provided a clear assessment of the situation – no additional pathways/delays, and a comprehensive overall assessment. At the subsequently agreed treatment appointment, the “bad tooth” was removed within 3 minutes, and, after another examination of the situation, the implant was in its position in what felt like 3 minutes. It has never been so easy and fast… I only needed one appointment, and the millimeter-precise work was already clearly visible on the control x-ray. The healing process went without complication, and the implant fits wonderfully. I was very satisfied with the treatment and the profound implantation know-how, and can only highly recommend Prof. Tepper. My almost 30-year-old dental bridge had to be renewed. After a short waiting period for an appointment, in my first meeting with Prof. Tepper, he was very competent and empathetic. I felt well taken care of, the assistants are very nice and I instantly felt like I could trust Prof. Tepper. After the start of the treatment, there were some complications due to my bone structure. Prof. Tepper opted for a different solution during the session, which produced a perfect result. Within a week I then had my new teeth, which fit perfectly, match the color of my other teeth accurately, cause no chewing problems and have turned out very good-looking. My only, tiny little point of criticism: in spite of appointments, you sometimes have to wait a little longer (but it’s worth it). All in all, an excellent treatment by an excellent doctor. Thanks to the whole team; I’ll be back for sure. Prof. Tepper replaced 2 of my incisors with implants 8 years ago. Although the initial situation was not optimal due to an already existing inflammation I had had for years, everything worked out, and my quality of life improved significantly. Both in the immediate follow-up and in the years after that, Prof. Tepper was committed and, above all, always available quickly and easily.